The Ministry of Defence (MoD) has recorded more than 500 safety mishaps with nuclear submarines on the Clyde since 2006 – half of them in the last four years. UK defence minister, Stuart Andrew MP, has disclosed that there have been 259 “nuclear site event reports” for Trident submarines based at Faslane over the last 12 years. Over the same period there have been 246 safety events on nuclear-powered but conventionally-armed “hunter-killer” submarines berthed or docked at the naval base. Overall 23 incidents were categorised as having a “high potential” for leaking radioactivity into the environment or within a submarine or building. Some 148 incidents were said to have a “moderate potential for future release or exposure”. Critics have warned of “a degradation of safety culture” within the naval nuclear fleet and called for urgent action to reduce the dangers. The MoD stressed that it took the incidents “extremely seriously” but that no-one’s health had been damaged. Faslane is the home port for most of the UK’s nuclear submarine fleet, including four Vanguard-class submarines armed with Trident nuclear missiles, and three new reactor-driven Astute-class submarines with conventional weapons. Four more Astute submarines are due to be based there when they have been built. Faslane is destined to host the planned new generation of nuclear-armed Dreadnought submarines to replace Vanguard. The port also gives berths to three ageing Trafalgar-class nuclear-powered submarines and until 2011 harboured nuclear-powered Swiftsure submarines, now decommissioned. A letter from Andrew in response to a parliamentary question quantifies all the nuclear events reported for submarines berthed or docked at Faslane from 2006 to 2017. “These events may be near-misses, equipment failures, human error or procedural failings,” the minister said. The figures show a sharp increase in the number of reported incidents in the last three years, with annual totals doubling those in earlier years. The years recording the highest number of incidents were 2016 with 80, 2017 with 73 and 2015 with 65. 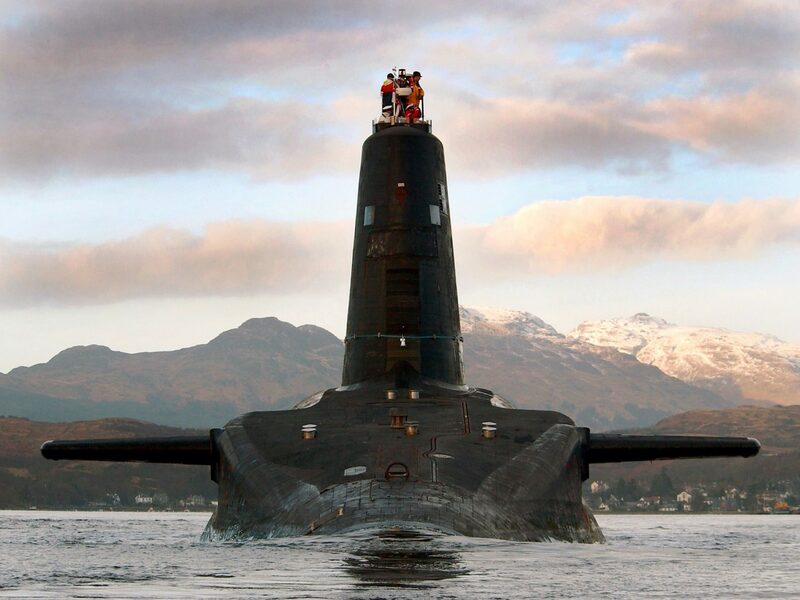 The total number of incidents was 505, with 259 taking place on Vanguard nuclear-capable submarines. Of the remainder, the majority – 121 – were on the new Astute submarines, with 74 on Trafalgar submarines and 51 on Swiftsure submarines. We've got the world's most dangerous weapons but they seem to be under the control of the Keystone Cops. The MoD defined two incidents as being in its most serious “category A”. That meant that the mishap had “actual or high potential for radioactive release to the environment or over exposure to radiation”. One was with a Vanguard submarine in 2006 when a pipe failure during maintenance “led to a contained submarine compartment water spill”. One member of staff was monitored for contamination and given the “all clear”, according to the MoD. The second category A incident was on a Swiftsure submarine in 2007 when water escaped due to an “incorrect valve position” during pipe pressure testing. “150 litres were discharged and no detectable radioactive contamination was discovered,” the MoD said. The MoD defined 21 incidents as category B, which meant there was “actual or high potential for a contained release within building or submarine or unplanned exposure to radiation”. There were a further 224 category D events, said to have a “low potential” for radioactive leaks but which “may contribute to an adverse trend”. Some 110 events were described as “below scale”, a new categorisation introduced in 2015 to align better with industry best practice. The list of safety incidents was released in response to questions from the Edinburgh SNP MP, Deidre Brock, who suggested that there was “something very badly wrong” at Faslane. “Discovering that there is a succession of safety failures – more than one a week in recent years – really brings home how dangerous Faslane is,” she said. She added: “One bad mistake at Faslane could be the end of all of us and it’s way past time that those weapons were removed from Scotland. This is bad news all round and we need to see fast action from the MoD to get Faslane back in order. This could “reflect a safety culture under strain which in turn may increase the probability of more serious incidents,” he said. He highlighted recent MoD decisions reported by The Ferret to keep assessments from the MoD’s internal safety regulator secret. “The pull back on transparency is regrettable and does little to engender public confidence,” he added. His colleague at the University of Sussex, professor of science policy, Andy Stirling, was struck by the MoD’s failure to mention the increase in incidents. “Unless this apparent problem is acknowledged – and careful scrutiny given to the reasons – confidence is diminished that these issues are being managed with public safety prioritised over public relations,” he said. The MoD’s list was “horrifying”, according to the Scottish Campaign for Nuclear Disarmament. “It is very alarming that there have been so many serious safety incidents involving Trident submarines,” said the campaign’s chair, Arthur West. The MoD pointed out that Faslane was rated as “adequate” for nuclear safety after inspections by regulators in May 2016. “None of the events caused harm to the health of any member of staff on the naval base, or to any member of the public, and the safety significance has remained very low,” said defence minister, Andrew. Photo thanks to Ministry of Defence via Open Government Licence. This story was published in tandem with the Sunday National on 18 December 2018.